Museum of African Contemporary Art Al Maaden. 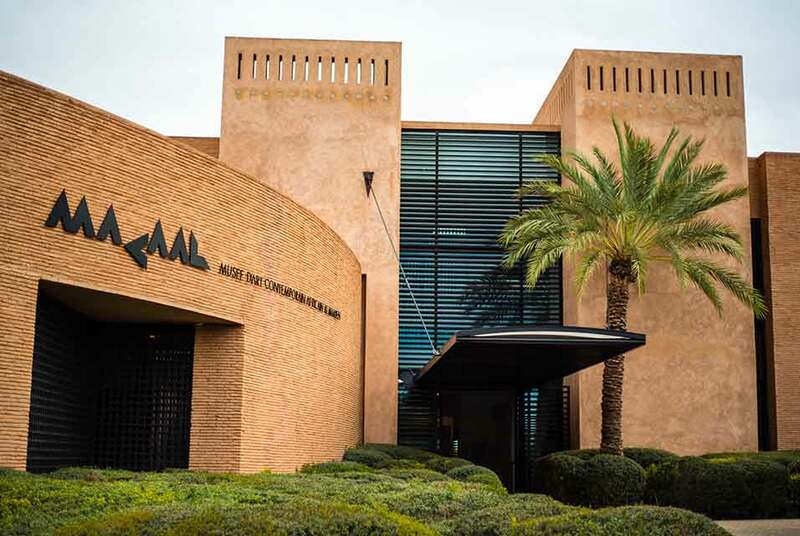 MARRAKECH.- The Museum of African Contemporary Art Al Maaden, Marrakech, opened internationally on 24 February 2018 with two exhibitions: a semi-permanent exhibition comprised of the Fondation Alliances collection and LAfrique nest pas une île ( Africa Is No Island ), an exhibition of contemporary photography from the African continent and the diaspora. The opening coincides with the first African edition of the celebrated contemporary art fair 1-54 in Marrakech. This timely collaboration between MACAAL and 1-54 creates a moment of heightened international awareness, illuminating the creative energy and cultural diversity that is prominent across the continent of Africa. Curated by Jeanne Mercier and Baptiste de Ville dAvray of photography platform Afrique in Visu and the independent curator Madeleine de Colnet, the exhibition brings together the work of approximately 40 emerging and established photographers who are working from a distinctly African perspective. The artists examine universally relevant cultural concepts of tradition, spirituality, family and the environment, within the context of modern African experiences and daily life. Africa Is No Island celebrates Afrique in Visus decade long working practice by selecting artists who have previously shown work on the platform as well as those from within Fondation Alliances collection. This platform itself has become a "visual territory", overcoming borders and reporting different perspectives on, around and from the African continent. The curators have chosen works based on the following three themes; Je suis ma représentation (I am my own representation), Dessiner des géographies (Drawing Borders) and Recueillir lhistoire (Transcribe History). This display runs alongside a collage-based photography installation of works by other Afrique in Visu artists which covers part of the exhibition space. The exhibition is accompanied by a sound installation by Italian artist Anna Raimondo which emulates the everyday noises of Marrakech. By immersing the audience in a unique audiovisual environment, the setting brings to life the photographic practice in present-day Africa while reflecting MACAALs commitment to placing Moroccan art within the wider context of African cultural output. The multi-layered images of Benin-based, Ivory Coast-born photographer Ishola Akpo blur the lines between fiction and reality. The series Lessentiel est invisible pour les yeux , shown previously at Lagos Photo Festival, explores the photographers family history and memories through images which detail his grandmothers dowry: gin bottles, clothes and beads. Johannesburg-based artist Lebohang Kganyes photography incorporates her interest in sculpture and performance, as well as her efforts to archive and memorialise her personal history and identity through family photographs. Ecological issues linked to plastic and electronic waste are recurrent themes in Nyaba Léon Ouedraogos series Les Phantoms du Fleuve Congo which is inspired by the colonial-era text The Heart of Darkness by Joseph Conrad. The works create a contemporary vision of the Congo River by showing life as it is lived in and around the symbolic artery of Africa. Maïmouna Guerresi, a multimedia artist working with photography, sculpture, video, and installation, creates images which are suffused with spiritualism and are directly related to her own conversion to Sufism. Using recurring motifs such as the veil, her portraits are an affirmation and celebration of female spirituality and African womanhood.